On today’s show, we talk about the Vintage Computer Festival shows of the last few weeks. Plus, VCF East is where David and Jeff actually met in person for the first time. 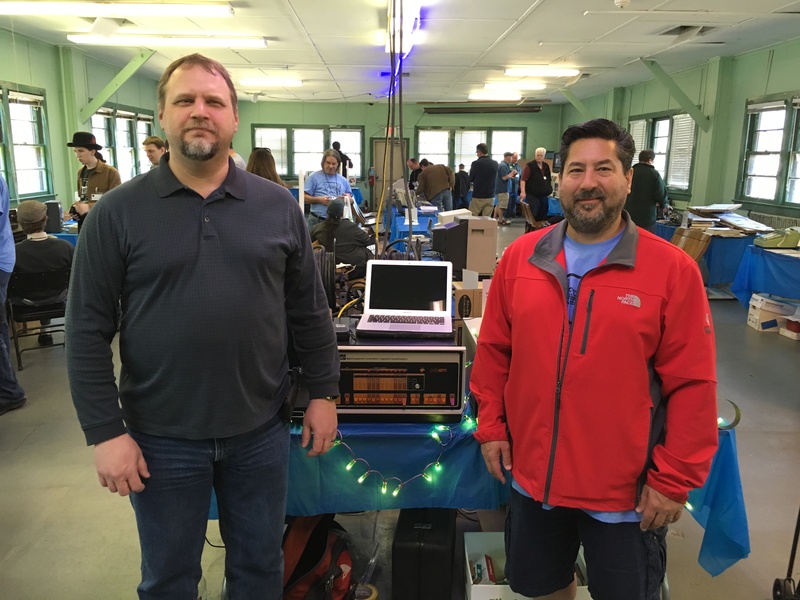 Special Episode: Coverage of Vintage Computer Festival East and Southeast was posted on Friday, April 22nd, 2016 at 10:02 pm. This post is tagged and is filed under . You can follow the replies through the comments feed. Pings are closed but you can Leave a comment! This sounds like a duplicate of a previous podcast- the iTunes version also. You are absolutely right! Thank you for the notification. I had problems with the server recently and had to reset some file contents. I’m wondering if there was a mix-up on this post with the embedded media. I will fix it. A Blueberryware theme › 43 queries in 0.344 seconds.